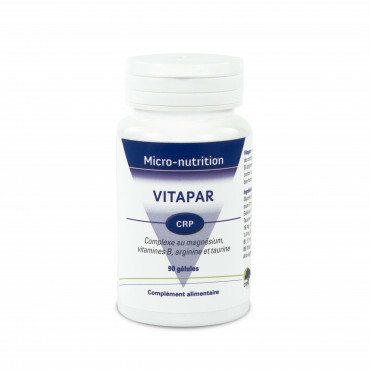 Vitapar offers a unique selection of active compounds (magnesium, vitamin B, arginine and taurine). 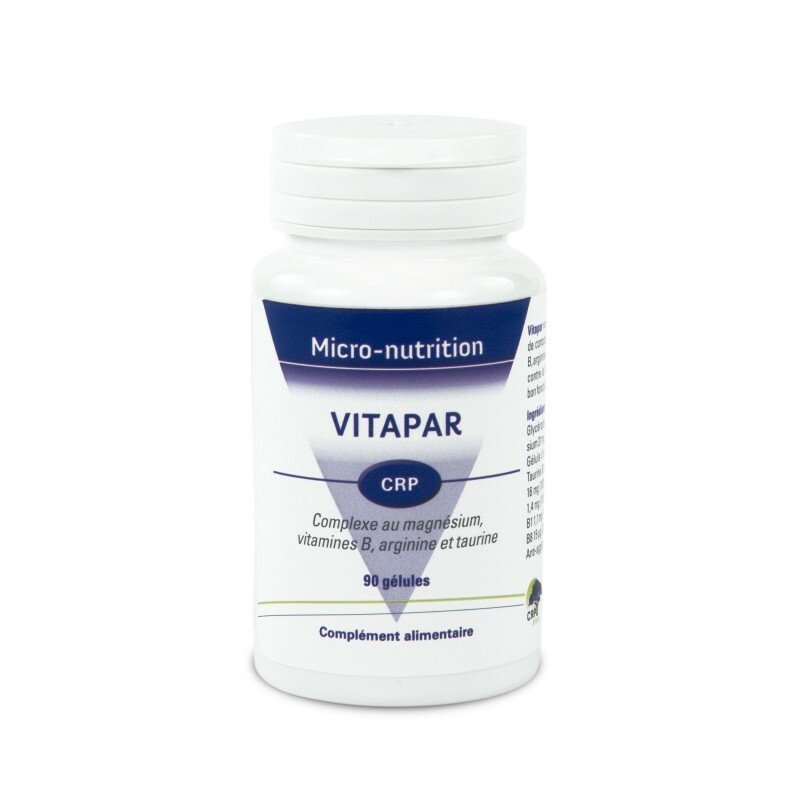 Fights against temporary tiredness and boosts the immune system. Magnesium glycerophosphate (magnesium 31 mg, 8.2% RDA). Arginine 100 mg. Vegetarian capsule (Hypromellose). Taurine 30 mg. Vitamin complexe B : B3 16 mg (100% RDA), B5 6 mg (100%RDA), B6 1.4 mg (100% RDA), B2 1.4 mg (100% RDA), B1 1.1 mg (100% RDA), B9 25 µg (12.5% RDA), B8 15 µg (30% RDA), B12 2.5 µg (100% RDA). Anti-caking agent : magnesium stearate. B complex vitamins boost the cells energy and improve their detoxification.